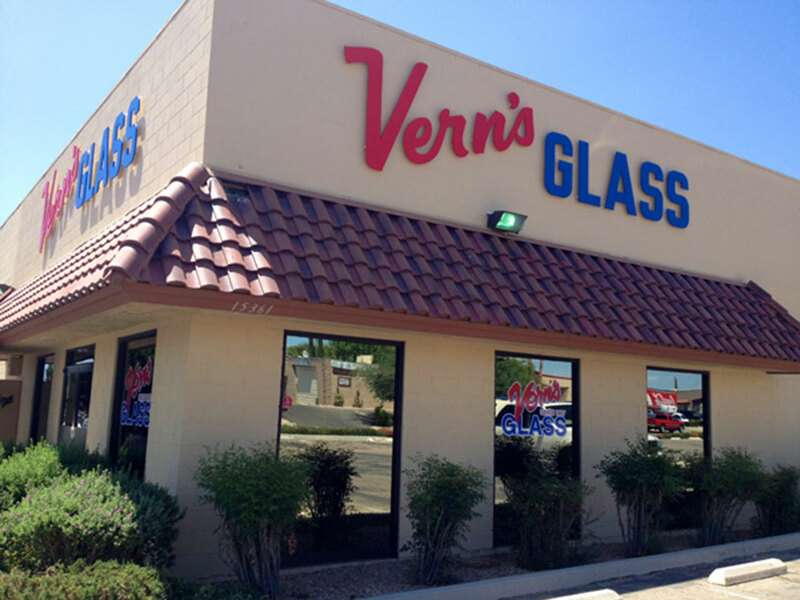 Vern’s Glass was started in 1957 by Vern & Mickee James. Along with their son, Vern Jr., and incredible work ethic, they built a business that has stood the test of time. Vern James started in the glass business down in San Bernardino when he was just a youngster. In 1957 they moved to Lucerne Valley where Vern worked for Lucerne Valley Glass. It wasn’t long after that same year that Vern and Mickee began Vern’s Mobile Glass. They set up shop in rural Apple Valley and traveled to peoples homes or commercial buildings to perform their services. For the next 20 years they worked hard and saved their money. They bought property on Anacapa Road in Victorville hoping to one day build a new building there. At the time, there was nothing around that area. There were only a few businesses and we believe the Daily Press was open at that time down the street. Vern and Mickee’s dream was finally realized, and they opened at their new location in June of 1980. Vern & Mickee’s nephew, Billy Mortimore, went to work for Vern’s and was a driving force within Vern’s Glass. They continued to work hard and serve the people of the High Desert for many years. 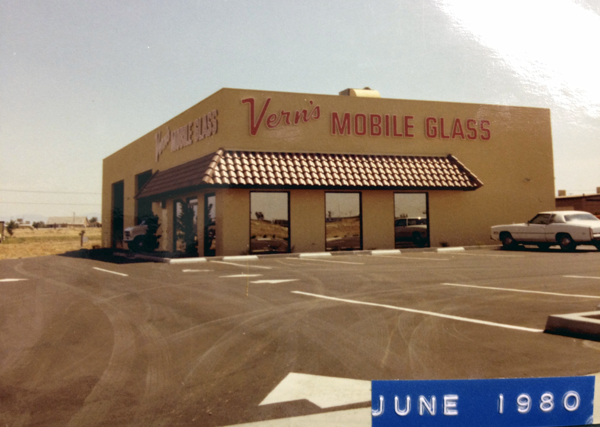 In 1986, the current owner of Vern’s Glass, Vicki Langley, came to work for Vern and Mickee. Vicki and Billy Mortimore had gone to school together over the years and made a great team. Vicki’s expertise was commercial glazing and her job was to build that end of the business. You can learn more about Vicki over on the Our Team page. The opportunity presented itself in 2012 to buy Vern’s Glass and Vicki was delighted to be able to purchase the business. She sees this as an opportunity to come full circle and is very proud to be able to carry on the long tradition of excellent customer service. Some of the same employees that worked at Vern’s Glass in the 80′s still work for Vern’s today. Vern Senior passed away many years ago and we’ve also lost Billy Mortimore to cancer. May they rest in peace. We will do everything we can to carry on the same caring attitude and work ethic that got Vern’s Glass where it is today.